The new Raymarine AXIOM RealVision is set to completely change the way fishers and boaties see the world beneath their hulls. Combining an electrifying mix of new technology 3D sonar with Raymarine’s acclaimed CHIRP DownVision and CHIRP SideVision, the new AXIOM RealVision is a true all-in-one system with no need for additional black boxes or transducers. The ground-breaking new AXIOM RealVision 3D Sonar also comes complete with a unique gyro stabilisation system, delivering astonishingly accurate images of the seabed, underwater structures and fish. “Traditional fish-finding systems are hugely affected by surface conditions,” says Mark Milburn, CEO of Raymarine’s New Zealand distributor, Lusty and Blundell. “As the boat moves up and down on the waves, even quite slight seas can make the sea bottom look ‘hilly’ when it is actually dead flat. AXIOM RealVision’s impressive new four-in-one transducer combines CHIRP DownVision, CHIRP SideVision, High Frequency CHIRP and RealVision 3D in a single transducer housing while the Wide Spectrum CHIRP sonar transmits on 60 different frequencies, delivering incredible life-like sonar images and almost unbelievable fish targeting. Using the industry latest and most powerful quad processing platform and Raymarine’s new LightHouse 3 operating system, the AXIOM RealVision is lightning quick and super-easy to master. Featuring rugged all glass multi-touch displays and sleek and slim bezel-less designs, AXIOM RealVision also comes complete with WiFi connectivity, giving instant access to Raymarine apps, feature updates and on demand weather. There is also an USB port for external drives or remote card readers — and to provide handy charging for smartphones or tablets. AXIOM RealVision also supports Miracast, enabling wireless repeating images to generic Miracast devices and TVs. 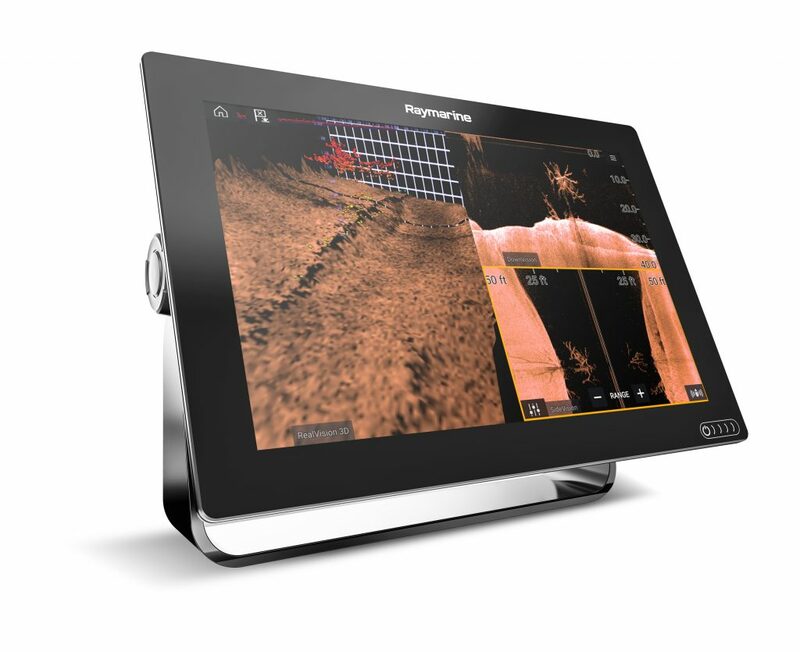 Raymarine’s exciting new AXIOM RealVision 3D Sonar is also incredibly good value for money with the 7-inch display selling for around $2300 and the top-of the line 9” display costing around $2800. Both models will be available through Lusty and Blundell’s nationwide network of leading marine dealers.